Susan has more than 14 years of consulting and instructional design experience working with a broad range of clients in a broad range of industries – healthcare, retail, banking, insurance, technology, government and higher ed. 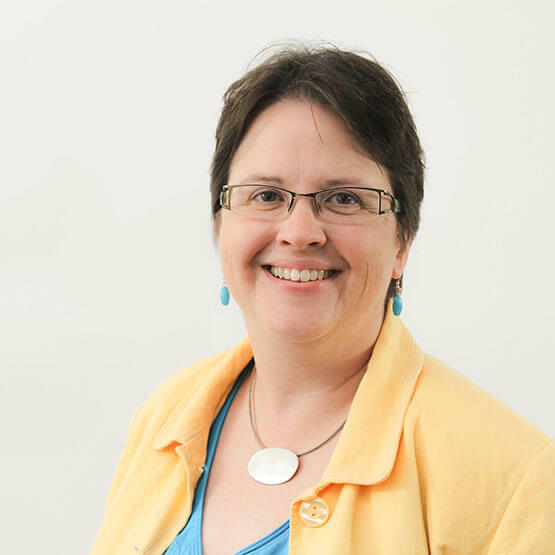 From assessment, simulation, and scenario development, to writing eLearning and instructor-led training, Susan has what it takes to create an engaging learning experience. Susan loves to write which she puts to great use in her client work. In additions, she’s a maximizer – she leads a team of instructional designers where she is adept at matching skills and talents to client projects to allow the team to deliver their best work. Before finding her love of instructional design, Susan’s first ten jobs included working at Baskin-Robbins, as a checker at Kroger, a telephone operator, library cataloger, scheduler for an in-home care service for the elderly, receptionist at an advertising agency, childcare teacher, self-employed business writer, and editor. Susan enjoys family time with her husband, Dennis; daughter, Shannon; son, Connor; and their cat, Mischief.